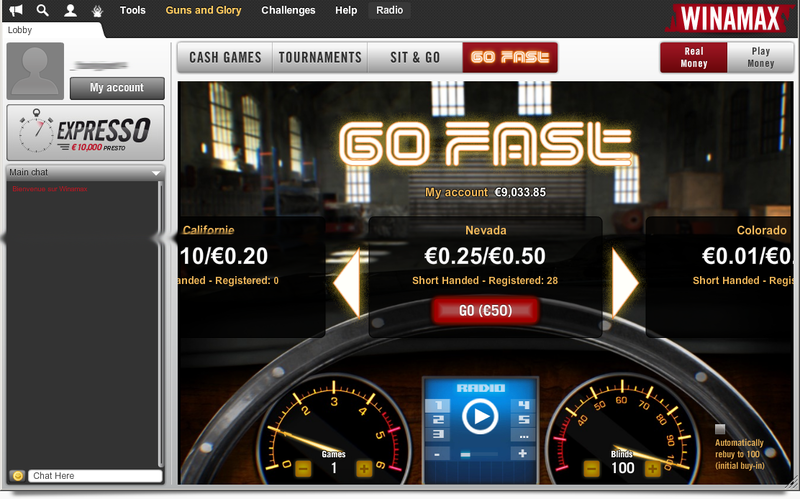 GO FAST is an ultra-quick cash game which allows you to change table instantly after folding any hand you don’t like. Poker in top gear on PC, Mac, tablet and mobile! Once logged into the game client, click on the GO FAST button. After the animation plays you may select your buy-in, the number of simultaneous games you wish to play (4 maximum) and the number of blinds you want to begin each game with. If you’re in the mood for some ambience, you also have the choice of 12 different GO FAST radio stations. Hit GO and it’s pedal to the metal! Upon arriving at the table you will discover the new button . This button allows you to change table immediately even if it’s not yet your turn to act. 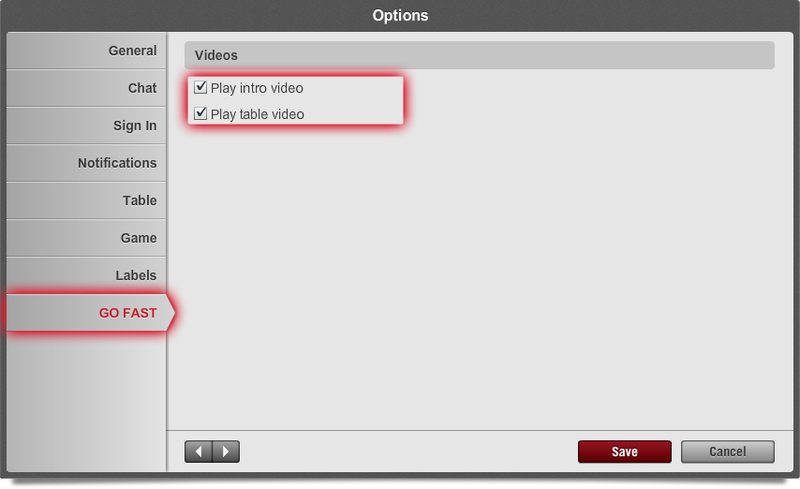 You can use this option at absolutely any time unless you are not required to call a bet to remain in the hand (for example, in the big blind or when all-in). At the same time, the other players will not know that you have folded and left the table until it is your turn to act. GO FAST automatically balances your position at the table (big blind, small blind, button etc.) during your session. This guarantees that each player will not be required to pay the blinds more often than their opponents. There are videos that play when GO FAST is launched and according to certain actions in the game. You have the option to disable and enable these animations at any time you like. If a particularly interesting hand is being played you can remain at the table by holding CTRL when you press the fold or button. The CTRL hotkey can be changed in the keyboard shortcuts section of the client settings. The games are played at 6-max No Limit Hold’em tables. It is not possible to watch a GO FAST game as a spectator. Hands played in a GO FAST game are taken into account for both the Hand Challenge and Cash Game Challenge as well as Guns & Glory missions and Happy Hours. Go Fast games allow you to play a quick and friendly game of poker where fun remains the key word. If you feel as though you are unable to control how much you play these games and want to take a little break, we offer responsible gaming tools exclusive to this game type.